Posted: May 25, 2015 Updated: May 26, 2015 by onlineph | Filed under Featured, Internet, Reviews, SmartPhones, Technology. 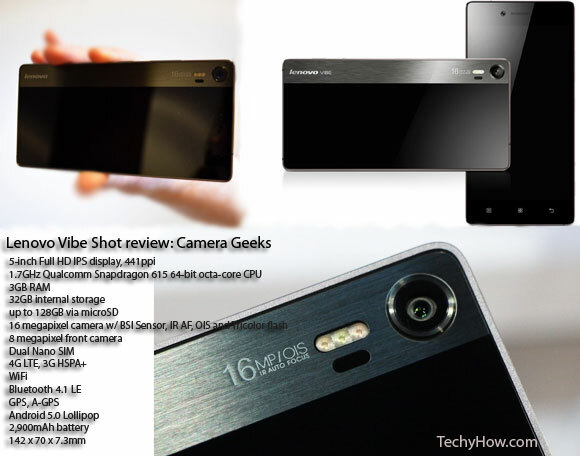 Lenovo vibe shot is one of the best in Lenovo phones currently. Microsoft was known for its producing camera quality, Great exposure to the customers the proof itself, For example the Lumia 730 and Lumia 830. But now Lenovo Industry is trying to compete by showing one of it’s newly manucfatured Lenovo Vibe Shot. With its unique design, with a metal, glass finish and also a smooth surface plus, its elegant metal strip and candy bar like design weighing up 145grams and 7.3mm in terms of thickness. And look what else we got in this Lenovo Vibe shot, It comes with 64- Bit Octacore processor, A booming Snapdragon 615 One of the best GPU’s recently made, A 3GB RAM, Plus the huge memory capacity of 32GB (Built in storage). The SD Card slot not supported by this device. With a wide display of 5- inch plus 1080P display, Good for gaming and watching movies. This device supports Dual SIM system and comes up with Bluetooth 4.1 LE version plus the 2900mAh a great combo for a Octacore processor. Lenovo already made a good UI skin for Vibe Shot, This device have Android lollipop version. 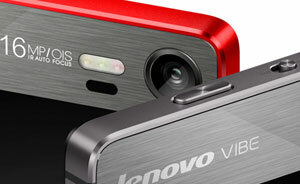 And its asset, The Vibe Shot’s rear camera can shoot 16mp with built in infrared auto focus, Lenovo Company said that it have 2x the speed versus the normal auto focus. Front camera has an 8mp, Good thing for selfie lovers out there. 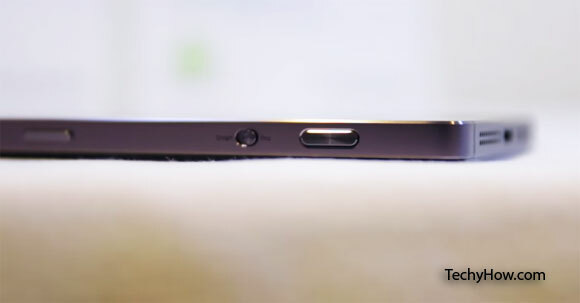 Other reviews said that the front camera images looks sharp and have a good quality as well. The phone unofficial price is $349 approximately Php 15,531 and will be released this June 2015 in the Philippines. With its good Camera resolution combo, the 5.5 inch wide display, The awesome Octacore process and comes with 29000mAh will tell that it is a quality phone. Are you one of the gadget fanatic who’s also waiting for this phone?